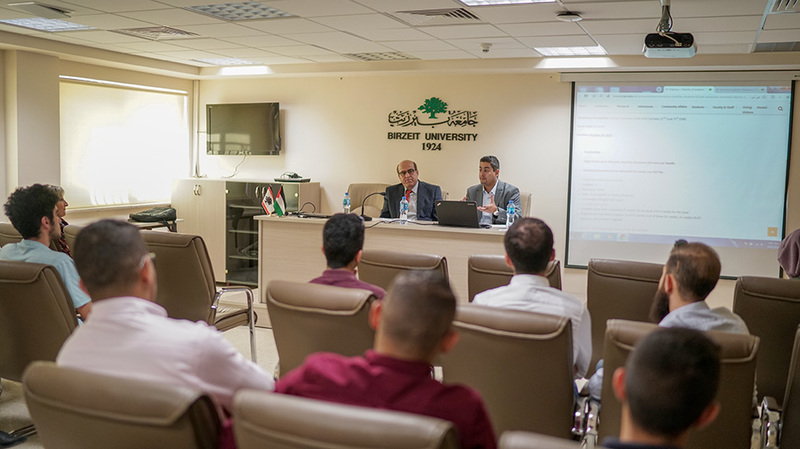 Birzeit University students and staff, who decided to spend a few months in a European country, through the Erasmus+ International Credit Mobility programs, shared their experiences and the challenges they faced during their stay with the National Erasmus+ Office, held on October 8, 2018. The Director of the National Erasmus+ Office, Nedal Jayousi, and the Program Officer, Rana Qaimari, met with the students and staff at the university campus. The Erasmus+ program offers university students and staff the opportunity to study in a foreign country to study, train or gain professional experience abroad. In the academic year 2017-2018, around 24 students and 46 staff members studied or trained in the universities of 11 different countries; including: Italy, Spain, UK, Belgium, Iceland, Austria, Estonia, Greece, Malta, and Germany. Moreover, 9 students and 20 professors came from Estonia, Belgium, Italy, UK, Bulgaria, Ireland, Spain, Austria, Germany, Iceland and UK to learn at Birzeit University.